This personalised 'You are my hole in one' Golf ball marker is the perfect gift for that special someone that loves to play golf. 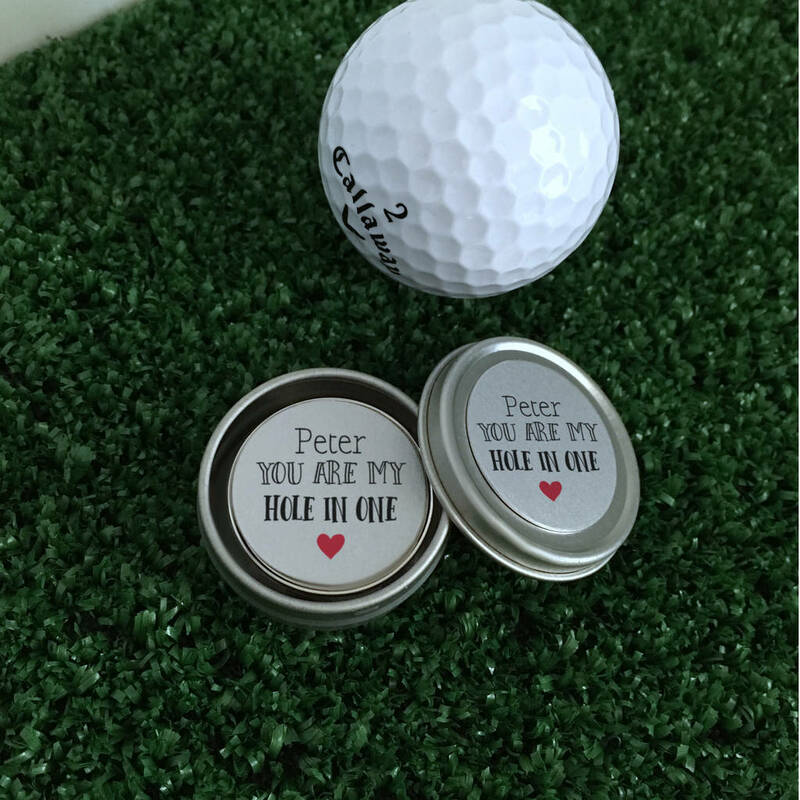 The metal ball marker will be personalised with the name of your choice and encased within a clear poly dome to protect the design. 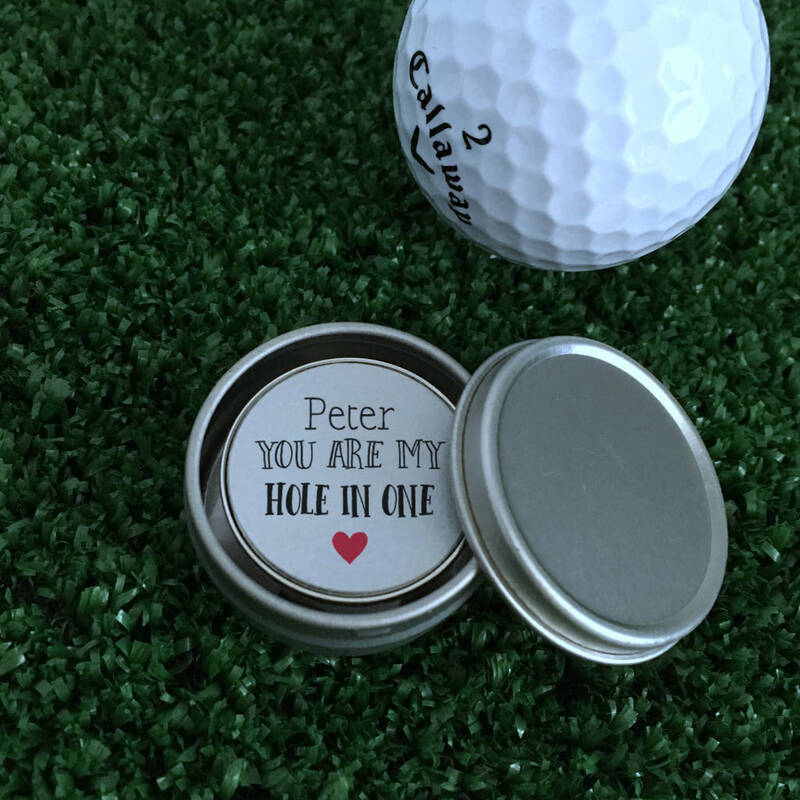 A metal case to store the ball marker is also available either with a plain lid or a printed lid matching the ball marker. 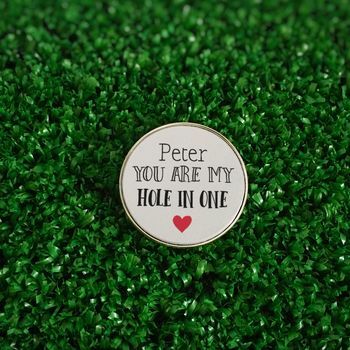 A matching golf divot tool is also available. Personalised with the name of your choice. Golf ball marker measures around 27mm.